Added by admin on October 20, 2018. 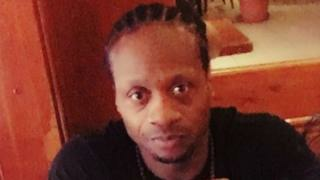 Two men have appeared in court charged with murdering a father-of-two who was beaten to death outside his home in Battersea, south-west London. Ian Tomlin, 46, was killed outside flats on Charlotte Despard Avenue on Wednesday. Gary Beech, 48, who lives on the same street, and Michael Swan, 45, from Wandsworth, appeared at Wimbledon Magistrates’ Court on Saturday. Mr Tomlin’s cause of death was a head injury caused by blunt force trauma. A post-mortem examination was carried out on Friday. Magistrate Kevin Hearn remanded Mr Beech and Mr Swan in custody ahead of a hearing at the Old Bailey on 24 October. A fundraising page has been set up to raise money for the victim’s funeral. The GoFundMe page was set up on Saturday and aims to raise £60,000 towards a memorial and a boxing academy in memory of him. “Ian was passionate about his boxing and fitness, he also trained as a boxer many years ago,” the page said. Mr Tomlin’s father, Cecil Tomlin, told the Evening Standard his son was a “a great father”. The victim had worked for a waste company contracted to Wandsworth Council. Leader Ravi Govindia described the killing as “truly shocking”. The Metropolitan Police said extra patrols would be carried out around the estate where Mr Tomlin was killed. More than 100 murder investigations have been launched across London so far in 2018.